BRANDON, MB – Researchers at Brandon University (BU) have received international attention for their recent work into how rural communities can better market themselves as tourist destinations. Dr. Christopher Malcolm and Dr. Doug Ramsey presented their findings to the 6th Annual International Tourism Congress, held in Peniche, Portugal. 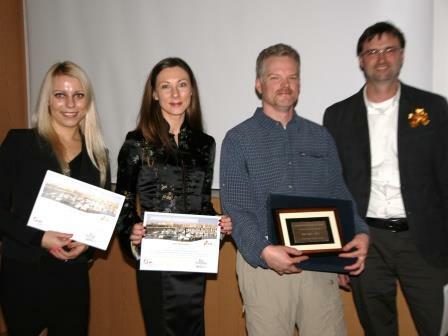 Their study on the experiences of visitors to the Canadian Fossil Discovery Centre in Morden, MB, was selected Best Paper at the conference and will be published in the spring of 2014 in the prestigious academic publication European Journal of Tourism, Hospitality and Recreation. Dr. Derrek Eberts, from BU’s Department of Geography, also presented a paper at the Portugal conference. Besides the BU contingent, only one other Canadian and a handful of U.S. researchers were among the 150 researchers from around the globe invited to present papers.